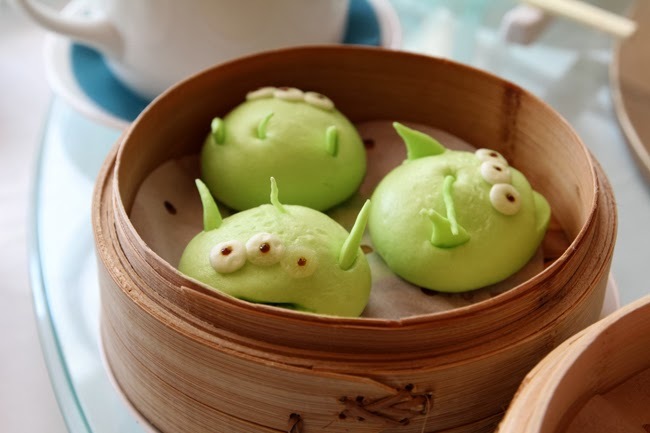 Ever since I found out about the existence of these cute Disney signature dim sum several years ago, I decided I would eventually go and try them. 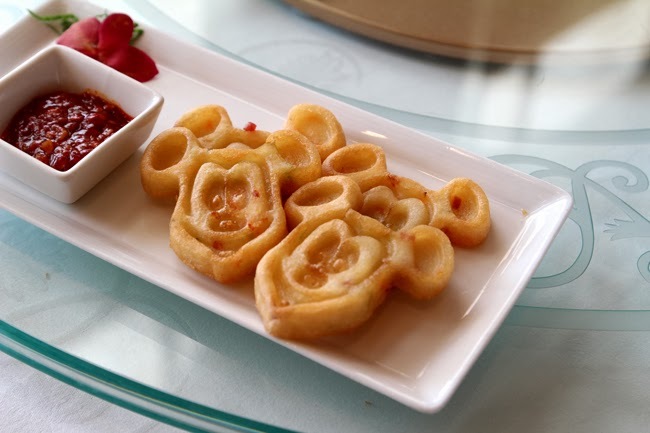 The occasion was perfect a week ago when J run the Disneyland 10km race for charity early in the morning, so I arrived at Disneyland after the race finished and we all (he ran in a group of 7) went for dim sum at the Chinese restaurant of Disneyland hotel, Crystal Lotus. 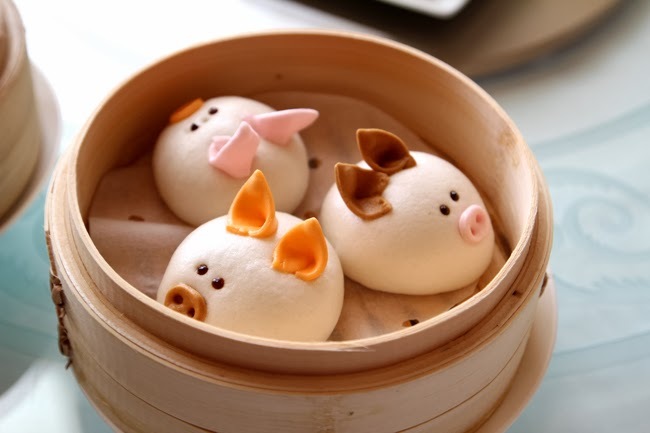 These dim sum were the cutest and, at the same time, the worst I've ever had. They were dry and the flavor wasn't exactly appealing. 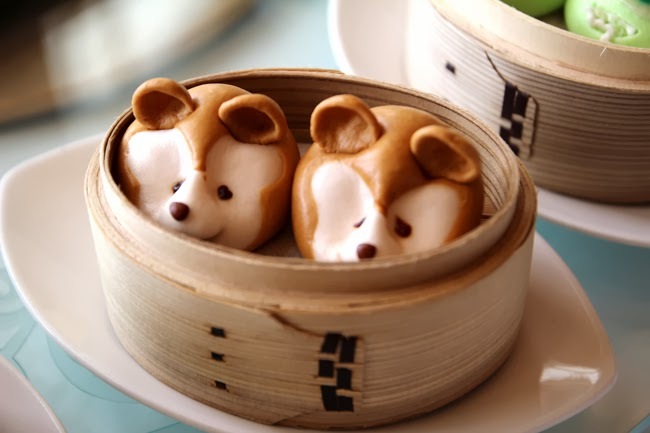 I would definitely not recommend it, but then when the food is so cute is hard to resist, right? Everyone wants cute food pictures! 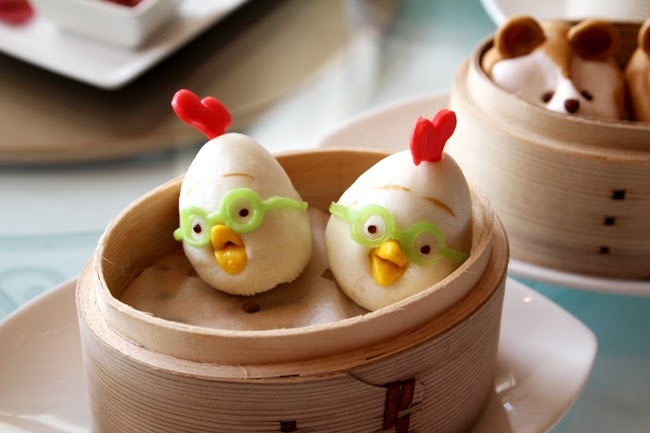 Which is why, if you must go, I'd say go once, order all the cute dim sum, take your pics, and don't go back again. It's one of those eye candy... and nothing else! 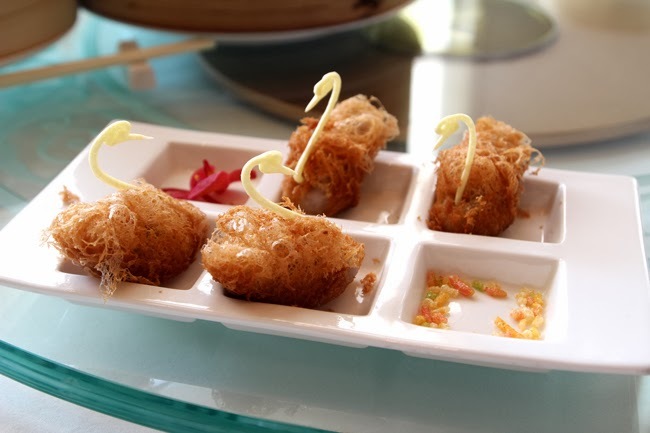 And, oops, at around $80 per dim sum, it's kinda pricey too! Would I recommend it? 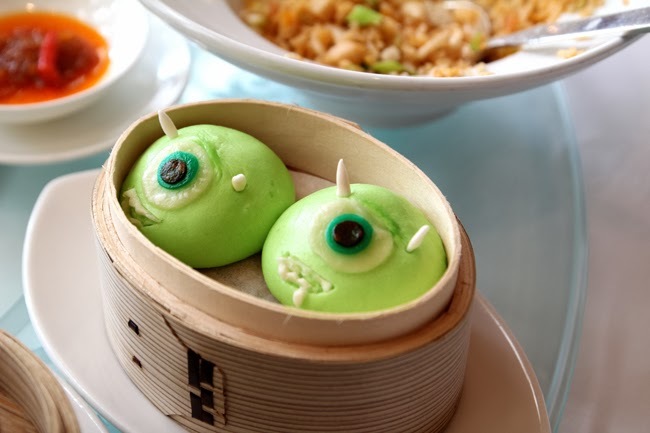 The food is bad, but it's SO adorable...! Definitely! Such a pity they don't taste as good as they look!